If you have an online profile on social networking websites, such as Facebook, be aware, what you publish on the Internet for the world to see could end up sabotaging your future. Dr. Phil reminds viewers that what you may think is acceptable may not be acceptable to college recruiters, potential employers or even the police. It’s a social phenomenon: kids, students and adults are photographing their worst behaviors and posting them online for all to see. It’s important to know that once you put a photo online, even if you have privacy controls, it can be copied, posted on other sites and your reputation could be tarnished. 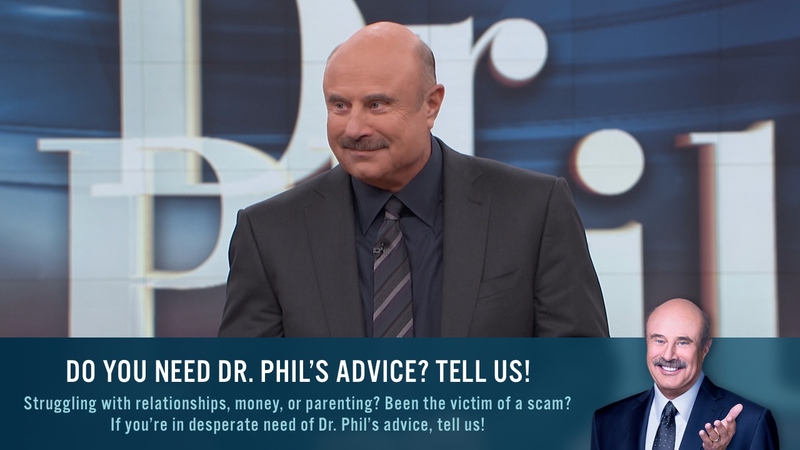 “The truth is, you can take some of these things out of context, put them all together in one place, and it paints you as a very different picture than how you live your life,” Dr. Phil says. Even if you delete that photo, it could exist in the cyber world forever and may come back to haunt you when you least expect it. Former Miss Washington, Elyse Umemoto, knows all too well the pitfalls of private photos posted online. After being crowned Miss Seattle in 2007, she posed for some pictures while celebrating with friends: Drinking while wearing her crown, making rude gestures and posing in her bra. When the snapshots were stolen from her and posted on the Internet, it landed her in the middle of a scandal. Now she worries how it will affect her future. “This could affect my graduate school plans. It could affect a potential or a future job,” she says. “Or even 10, 20 years in the future, my kids are sitting on the Internet and they look up their mom. You don’t want that kind of thing to be out there for your kids to find.” Elyse is remorseful that her actions reflected poorly on the pageant organizations she represents. She could’ve lost her crown, something she worked very hard for. Dr. Phil implores parents to take a look at their children's online profiles, should they have one, and see what they're publishing. In addition to going over online safety tips, have a conversation with your son or daughter about what is acceptable and check up on them frequently. Also, keep in mind; they could have more than one profile with different usernames and passwords. One mom was shocked to discover a photo of her 15-year-old daughter in a low-cut top with some obscene language on her profile. Michael says oftentimes, kids will publish content not just about themselves, but about their parents. "So they say, 'Mom came home, and she didn't get her raise.' 'Dad came home, and he didn't get the promotion.' 'My parents are going to get a divorce,' or 'I want them to get a divorce,' and all of a sudden that's out in public," he says. The best thing to do is delete that content as soon as you find it. "Nip it in the bud," he says. Brad Karsh is the president of Job Bound, a company dedicated to helping people succeed in getting a job. He says before he makes a hiring decision, he checks the applicant's MySpace and Facebook profiles as well as looking them up on Google as part of his background check. "We live in the information age, and companies want as much information on you before they make a huge commitment of time, resources and money," Brad says. If you don't want a potential employer to see something, don't post it on the Web. Brad says pictures of you drinking make him wonder if you would show up to work drunk, be too hung over to work or go nuts at a work party. This is enough for him not to hire you. "It's not obviously the most positive impression that we want to see, and it certainly sends a bad signal," Brad says. Even an innocent photo of you with a drink in your hand can be misinterpreted. Dr. Phil doesn't drink alcohol, but he says he learned early on to set down any beverage in his hand before posing for photos. This is huge red flag for employers. Brad once turned down an intern because his online profile said his number-one interest was "smoking blunts with homies" and his number-two interest was "busting caps into whities." Brad says he may have been joking, but it spoke volumes about his maturity and professionalism. He also says it put a spotlight on character and judgment for putting those statements online. Michael says, "It is like a tattoo. It is permanent. You should think, 'Will this look good in two decades?' It is like a reputation score or life score, which is more important than your credit score." He also recommends you find out your online presence by using Google. "Today, Google acts as your resumé. The first 10 results act as your resumé. That's your reputation," he says. If you're a student, take a moment to think of the kind of career you want someday. If you're looking for a job in law enforcement, entertainment reporting or other public positions, remember that you will be representing that organization. Lisa Bloom, legal expert, and anchor and commentator on Court TV News, tells two students, "As a homicide detective, as a reporter, you're going to be the face of your organization. You have to realize that you're not just representing yourself; you're always representing your entire organization." Personal photos can not only cause embarrassment or ruin reputations; they can also be used as evidence in a criminal trial. On a rainy night in 2006, Jade was almost killed in a horrible car accident due to a drunk driver. Joshua was a 20-year-old college junior with a blood alcohol level more than two times the legal limit when his vehicle slammed into Jade's almost head on. Two weeks later, while Jade was clinging to life, Joshua attended a Halloween party dressed in an orange jumpsuit bearing the words "Jail Bird." He later posted photographs from the party on his Facebook profile. Prosecutors used the photos and other postings on his profile as evidence that he wasn't remorseful for the accident, and Joshua got a two-year prison sentence with eight years probation. "I know for a fact that if those pictures from Facebook had never surfaced, Joshua would not be spending any time in jail. Those pictures are what put him away," Jade says. Lisa says, "The hardest thing to do in criminal law is to get inside someone's mind in sentencing and say, 'Are they really remorseful?' because when you look at him in sentencing, there he is in his suit, all cleaned up, looking very contrite. Well, how do we get into someone's mind? We look into his MySpace or his Facebook page and there he is, thumbing his nose at the law, making a joke out of all of this. Judges, lawyers, prosecutors are increasingly looking at this stuff to get inside our minds." Protect your online identity by thinking twice about what you post.